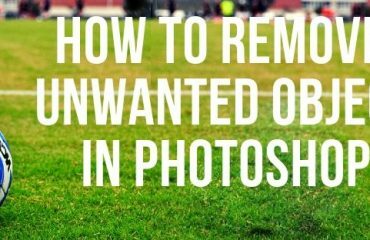 There are many professional Photo retouchers who often spend hours working on model’s skin and removing all the imperfect things from the skin with Adobe Photoshop CS6 using clone stamp, healing and spot healing tools.. There are many skin smoothing techniques which works on skin retouching in a very minimum time. It is also called High Pass Method. In this digital world, people want everything quick. So to save time, we use Adobe Photoshop to get the best skin smoothing technique in a short time period. Using Photoshop techniques, will give your model silky-smooth skin but still it will retain some of the details and textures. You will get a realistic and beautiful smooth looking skin by this. 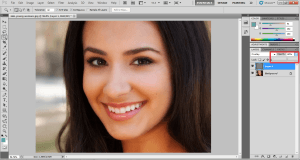 In this Photoshop tutorial we will learn an easy way to smooth and soften skin in just five minutes. Let’s take a look and try you. In your image, there might be some blemishes in skin. To remove them, select Spot Healing Brush Tool. Select this tool from the toolbar or you can press J to activate Spot Healing Brush Tool. 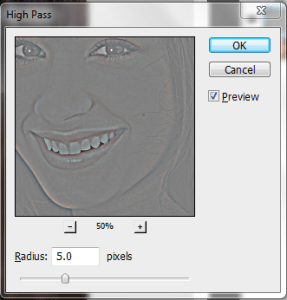 Select your desired brush and apply to the affected areas by setting the opacity in a right level. 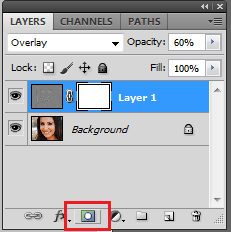 After opening the image in Photoshop, you will see in a Layer palette that you currently have one layer, which is the Background layer. Background Layer contains the original image. 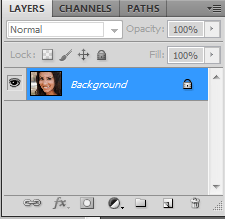 Now you have to make a duplicate of the background layer. 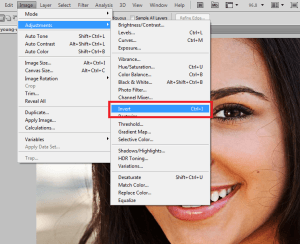 Right click on the background layer and click on ‘duplicate layer’ to get the duplicate layer or simply press Ctrl+J which automatically creates you a duplicate layer. Now, look at my Layer palette, you will see that you now have the copy, which Photoshop is automatically named as “Layer 1”. It’s time to change the blend mode to Overlay. Go to the Layer Blend Mode in the Layers palette on ‘Layer 1’. If you click on the blend mode, you will find different kind of blending mode options. Choose your desired blend mode and start working with that. 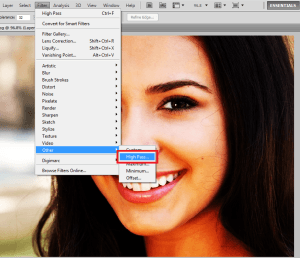 After changing the blend mode, you will see an increase in contrast and color saturation in your image. Now, I am going to use Photoshop’s High Pass Filter to make the model’s skin smooth and soften. If you have used it earlier, you got an idea that it works as an advanced method of sharpening images. To work with High Pass Filter, go to Filter>Other>High Pass. While doing all this, keep the ‘Layer 1” selected. After selecting the High Pass Filter, you will get a dialogue box containing radius option down at the bottom. 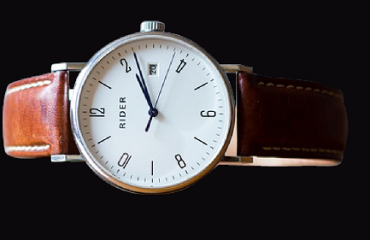 There is a slider at the bottom which helps to increase and decrease the radius of the image. Set your desired radius from that dialogue box and press enter. Make sure that the Radius value compliments the skin image. In this case, set the value around 6 pixels. For high resolution images, set the radius around 9-10 pixels. After finishing with skin smoothing in which we succeeded, now we will move forward to make the image look realistic. To do that, we need to lower the opacity of ‘Layer 1’. Go to Layers Palette and select the opacity. You will get an Opacity Slider bar which helps you to lower the opacity. Keep decreasing the opacity until you get your desired natural look. In this photo, we need not to lower the opacity in a high scale. We are lower the opacity to 60% which is perfect for this image. The Layer Mask plays a very important role remove the softening from the important details of human’s face completely. To do that, you need to add a Layer Mask. 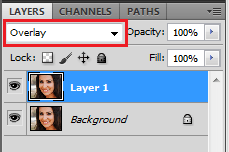 You need to keep your ‘Layer 1’ selected to add a layer mask on it. 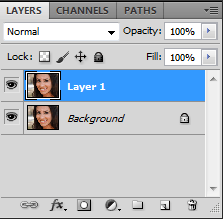 Click on the Layer mask icon of the Layers palette. It is time to paint the layer mask now. To do that, you need to activate brush tools. 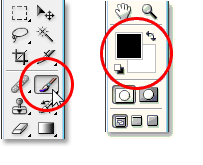 You can choose any brush from the tool bar or Press ‘B’ to activate the brush tool in Photoshop. In this photo, we need to paint with black color brush. We’ll need to set our Foreground color to black. We can fill any of the color from the dialogue box. Since, we need black, we didn’t change the color. There are few softening effects and details which I want to hide. Our selected brush tool and black foreground color will help me in that. By activating brush and foreground color, we can now paint over in any of the softening effect and details we don’t want to see. Paint over the areas you want to remove or hide. Black will hide the details. Unlike black paint, white paint is something which brings back the hidden thing you hid applying the black paint. I will paint and want to hide something from my image’s skin. I want to give hard look to some areas such as, teeth, mouth, eyebrows and the bottom of the nose. I will paint them black to remove the softness of these areas. So, here you can see the final result after removing blemishes, changing blend modes, lowering opacity and adding and removing softening and smoothing effects applied on the skin of my model. That’s all about this tutorial. That’s how to easily smooth and soften skin with Photoshop. Hope this tutorial and the tips will help you to retouching skin. Keep eye on our blog for more useful tips.